Above the door at the side of the Nat-West Bank in Market Square is a sign that states, incorrectly, ‘Dover Old Bank 1700’. 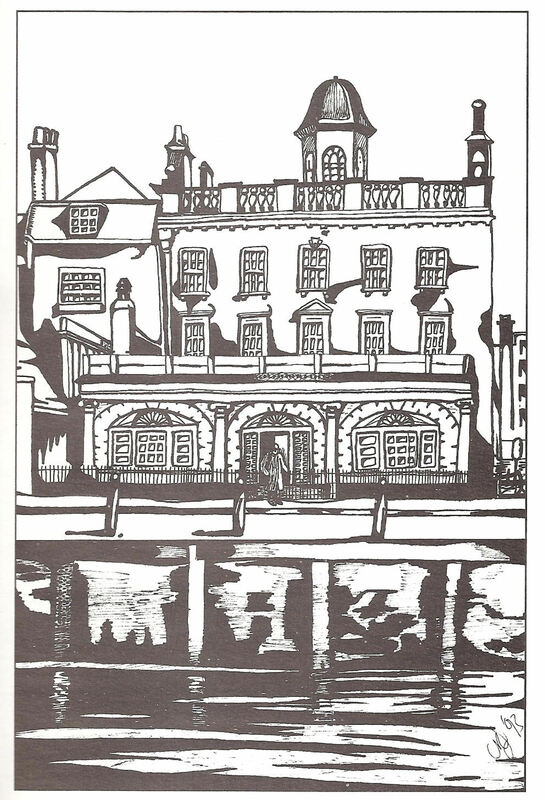 The site of the Dover’s Old Bank was actually in Strond Street/ Custom House Quay, on the landward side of Granville Dock, and it was founded about 1740. Nonetheless, it was not only a forerunner of the Nat-West Bank but of high street banking, as we know it today. The story goes back to 1686, when Isaac Minet (1660-1745) landed on Shakespeare Beach. He was a Huguenot, a religious refugee from France who, along with his family, escaped persecution by rowing across the Channel. 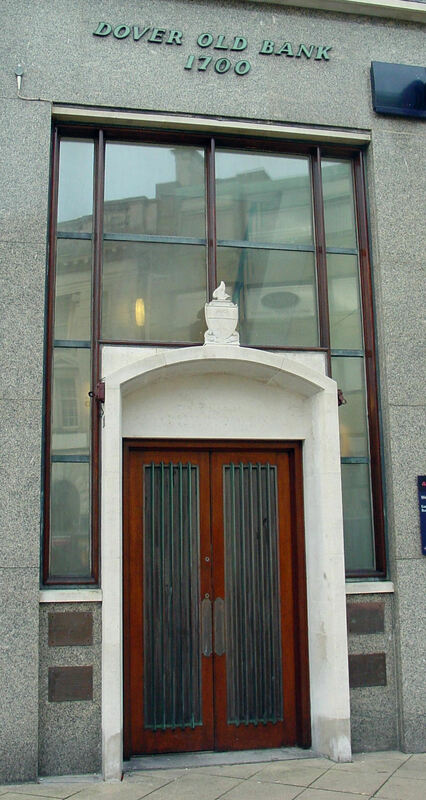 With the help of his son William and his nephew, Peter Fector (1723-1814), Isaac set up the Minet Bank in Strond Street. During the Wars of the Austrian Succession (1740-1748) Peter, who worked for his Uncle Isaac, would go to Castle where French prisoners of war were kept. There he would exchange the money the prisoners had received from home for English currency. This enabled them to buy food etc. from the prison guards. The prisoners particularly liked Peter, for not only could he speak their language, his rates much lower than others offering the same service. Among the prisoners were French officers from affluent families and they received greater sums from home. Due to being vulnerable to theft they asked Peter to look after their money, he agreed, again only making a small charge. Besides a receipt he would issue Bills of Exchange for them to use to buy goods. The prison guards were happy with this and soon the Bills of Exchange became a form of currency. Uncle Isaac and William along with Peter quickly realised that the amount of hard cash that was being withdrawn from their depository, was only a small percentage of the full amount of their Bills of Exchange. Therefore, they could issue Bills of Exchange backed by either of the currencies when folk asked for loans and because there was not much call for the hard currency so the chances of having a run was low. Isaac died in 1745 and William took over the bank, and Isaac’s other businesses. On 9 September Peter gained the Freedom of the town by purchase, paying £10 and bought a share in the bank in 1746. By the time peace returned in 1748 the two men were inviting locals and military personnel in the town to deposit their money with them, for safekeeping. Again only making a small charge and correctly assuming that these depositors would not return at the same time to ask for their money back. They would lend out these deposits to others, charging a lower interest than the town’s moneylenders would. In 1751, Peter married his half cousin Mary Minet (1728-1794), a granddaughter of Isaac and from 1752, the firm traded as William Minet & Co. By that time, the two men were issuing Bills of Exchange with their own names printed on the top and with the promise to redeem the notes for cash on demand. Soon people ceased to ask for the notes to be redeemed, instead they used the Minet notes as currency – modern high street banking was born! After this humiliation Peter became ruthless and arrogant putting all his energies into acquiring a fortune. In 1762 he bought land including Green Farm at Eythorne. There he built the mansion, Eythorne House, described by Edward Hasted as being: ‘beautifully situated, having a view over Waldershare Park, and a fine one beyond it over the adjoining Channel, and the Boulogne Hill on the Coast of France.’ Peter also adopted a coat of arms and the motto, ‘Fide Felices facti’ (made fortunate by faith). However in February 1775 one of Peter’s three daughters, Alicia-Hughes married Charles Wellard in St Mary’s Church, Dover. Wellard belonged to the hated Dover elite. 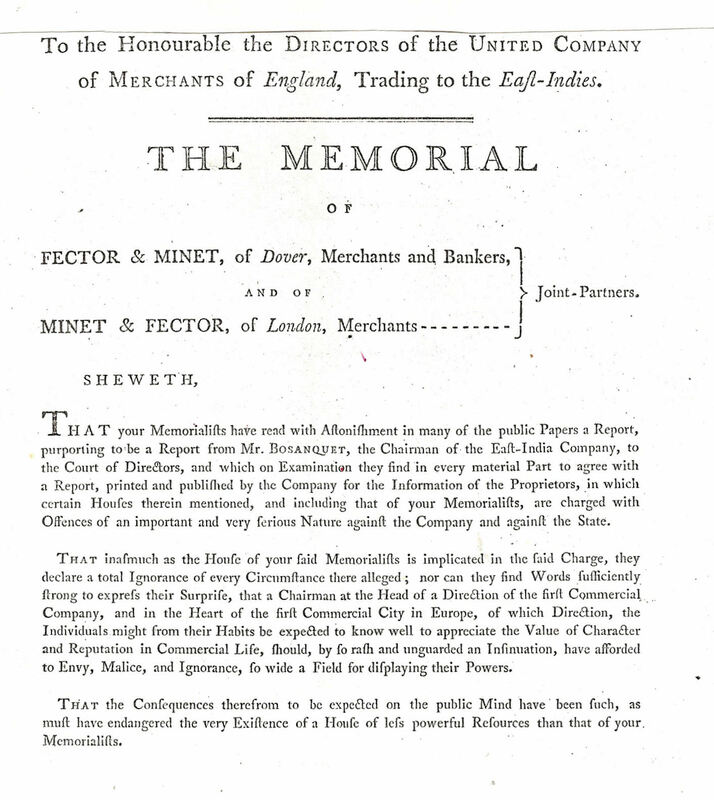 Of Peter’s three sons, John Minet (1754-1821) and James Peter (1759-1804) joined the firm. John specialised in the shipping side of the business and James, the local side of the banking business, particularly in relation to the town’s mills. Peter dealt with the aristocracy, country squires and farmers who owned large estates. Typically, they put deposits on account for estate maintenance and as such, transactions with the London office, on his client’s behalf, were considerable. However, gambling was the scourge of the wealthy and the pretentious and when his clients asked for loans, Peter obliged taking their property as collateral. When they failed to pay back the loans, Peter took their property into his and invited the former owners to stay – as long as they paid a modest rent and looked after the estates. Otherwise, he took the properties over, put in his own estate managers and rented them out. By this means acquired the Manor of Wingham Barton in 1761 – the land and property having been given by Elizabeth I to Sir Roger Manwood in the sixteenth century. Helles-Court and the Manor of Levereux, near Ash, in 1760; Hopton’s Manor, Alkham in 1767; Goshall Manor, also near Ash, in 1779 and Grove Manor, Woodnesborough in 1793. He also owned parts of Shepherdswell and a farm at Whitfield. 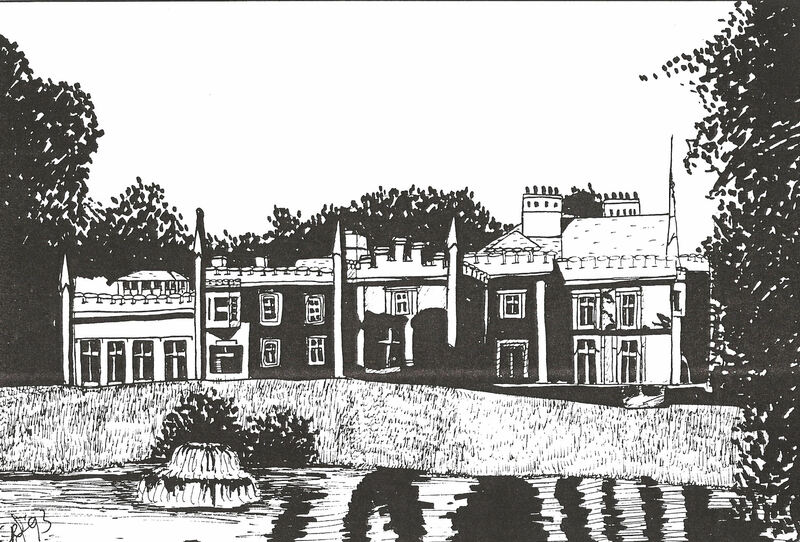 Peter bought Gurson Fleet in 1781, which included Richborough Castle and in 1790 he added the ancient Kearsney Manor to his portfolio. Paying £72,000 the estate included 11,000 acres of land and corn mills. Peter’s eldest son John was given Kearsney Manor as his summer residence. Unlike his father, John was both a charmer and compassionate and was highly thought of by the ordinary folk of Dover. Not only did the Fector shipping – which John headed – provide continual work, he cared for the families of those who lost their lives at sea. Further, John ensured that those whom he employed that were caught smuggling were looked after. It was easy for him to keep an eye on the activities of the customs officers as the Custom House was next door to the Fector’s Pier House on Custom House Quay! The American Colonies declared their independence (1776-1783), from England on 4 July 1776 and two years later, on 17 July 1778, France declared war on Britain in support of the Colonists. Initially, the War took its toll on the Fector business and Peter was obliged to sell some of his ships to Flanagan Vercoustre of Ostend. However, as previously in wartime, the government issued Letters of Marque and the Fectors successfully participated using hired ships. Letters of Marque were licences issued by the government that allowed private citizens to seize goods of enemy ships as a prize for making war on them – privateering, as it was called was effectively a legal form of piracy! Although in 1781 the American colonists defeated the British because the French withdrew their threat of invasion Peter was able to build up his shipping interests. His first barque was the Harriet, whose master was Captain Sharp. 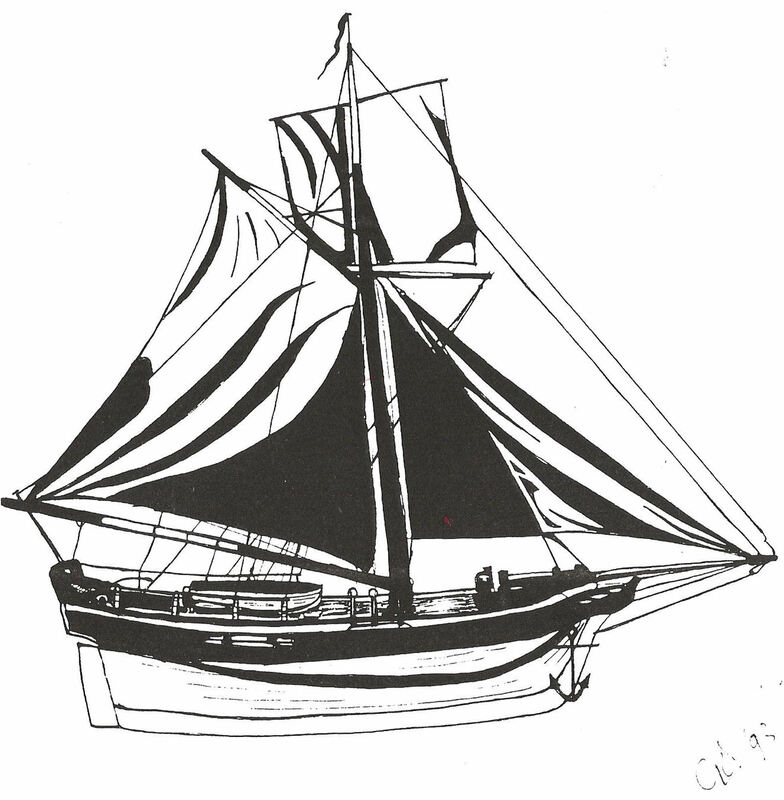 It is recorded that Peter used the vessel to import the finest claret from France, having quickly reconvened his business relationships there. During the War Thomas Hyde Page (1746-1821), was in charge of building up defences on Western Heights. The Napoleonic Wars, 1793-1815, brought in battalions of soldiers and major building work was undertaken on the Heights, much of it from 1803. To pay wages and goods of the soldiers, sailors and victuallers, the government used the prevailing currency – gold. This was sent from London and deposited in Dover’s two banks, one owned by the Fector family and the other owned by the Latham family. The latter had evolved out of shipping. In October 1794, Peter Fector’s wife Mary died but before her death she had the delight of seeing her eldest son, John Minet, marrying Ann Wortley Montague Laurie, the only daughter of Sir John Laurie, of Maxwell’s town, Scotland and Member of Parliament for Dumfries. It was Ann’s grandmother, Anna, daughter of Sir Robert Laurie, the first Baronet, who was the famous ‘Annie Laurie’ of the Scottish song. James had married Frances, daughter of Thomas Bateman Lane of Dover. Between 1793 and 1796 the government’s deficit abroad amounted to £36,439,269 with excise and customs duties its main source of revenue. The debt was of a similar magnitude to that which had started the chain of events culminating in the French Revolution of 1789. 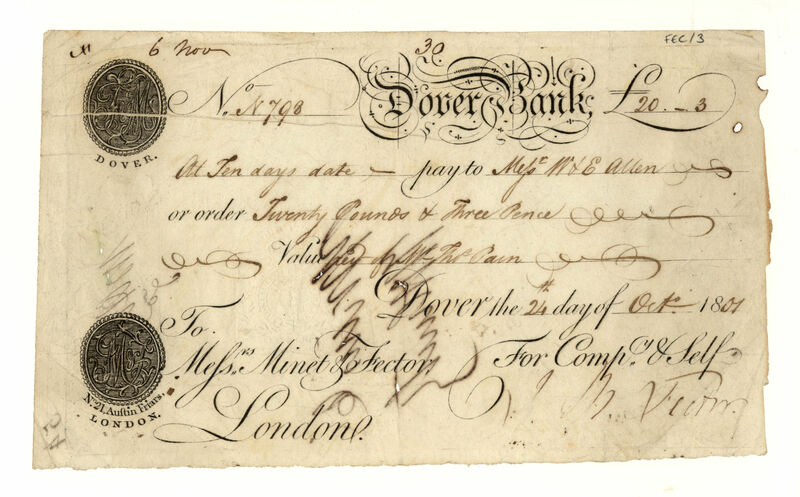 Matters came to a head in February 1797 when the coins and bullion held by the Bank of England against liabilities such as its banknotes, had fallen so low that the Bank Restriction Act was passed which meant that Bank notes could no longer be converted into gold. From the beginning of the Napoleonic Wars, the government had every reason to believe that gold was being smuggled out of the country to France and her allies. Indeed, they were so convinced that gold was being sold in return for wine and brandy that Revenue Cutters were ordered to stay at sea except when they made a seizure. When Napoleon came to power the English gold reserves fell even more dramatically,and finding the source of the alleged smuggling was given high priority. During the year of his Mayoralty in 1795, Thomas Mantell led a crusade against smuggling with his sights set on John. On 5 March 1798 a man was about to be arrested at a fisherman’s house, in Folkestone, escaped but later apprehended at Rochester. In Folkestone he left behid him three mahongany boxes in one of which were some letters. In April 1799, a warrant was issued for John’s arrest, he was charged with ‘aiding the enemy’. However, before the warrant was invoked, John had disappeared – the people of Dover had closed ranks around him. The allegations were laid out in an 800 page report to the Directors of the East India Company and amounted to treason, punishable by death and confiscation of all property. On 8 May 1799 the Hearing was held and the case against John was strong. 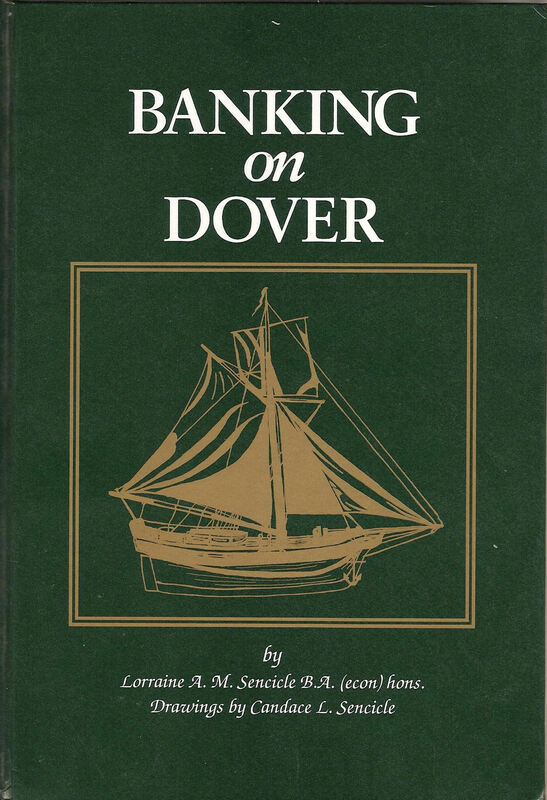 Amongst the copious evidence, some of which is detailed in the author’s book ‘Banking on Dover,’ it was shown that Updown House, John’s country mansion, had specially built caves in which smuggled goods were hidden while awaiting transportation. At the house was also a specially designed look out on the roof that faced the Downs and from which signals were sent. 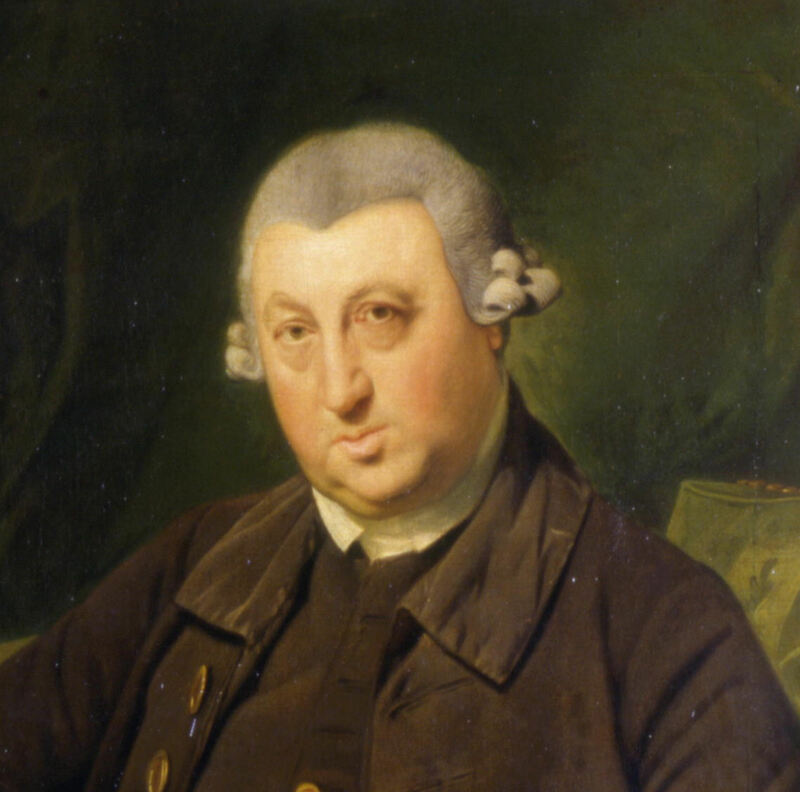 Further, John was a member of the Court of Lodemanage, which ruled Dover’s pilots and Pilotage and this put his ships in an excellent position to evade Revenue Cutters – customs ships and one only had to look at the proximity of his business with Dover’s custom house. Peter and James Fector did their best to provide a defence but the evidence against John was so overwhelming that they expected the worst. As for the folk of Dover, they rallied round Peter, something he was never to forget. Albeit, to everyone’s surprise it was announced that John had been cleared! 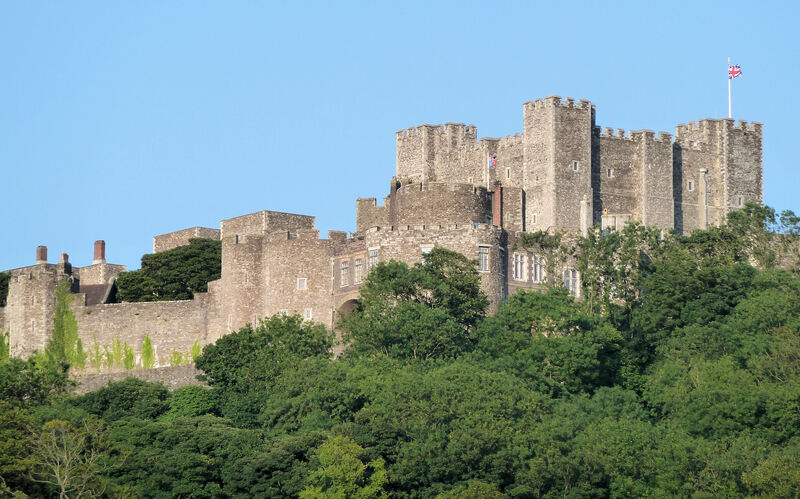 Shortly afterwards John returned to Dover and after celebrations was back running his shipping business as before. By this time Thomas Mantell was again Mayor in and although he continued his campaign against smuggling he and the Fectors became friends. Napoleon abdicated on 6 April 1814 and shortly after, Louis XVIII (1814-15 & 1815-24) called in on John before returning to France. It was also recorded that a considerable number of previously exiled French aristocrats stayed with the family at either St. James Street or Pier House over the next few months. One can only speculate how many of these people or their parents had crossed the Channel in John’s ships 21 years before. 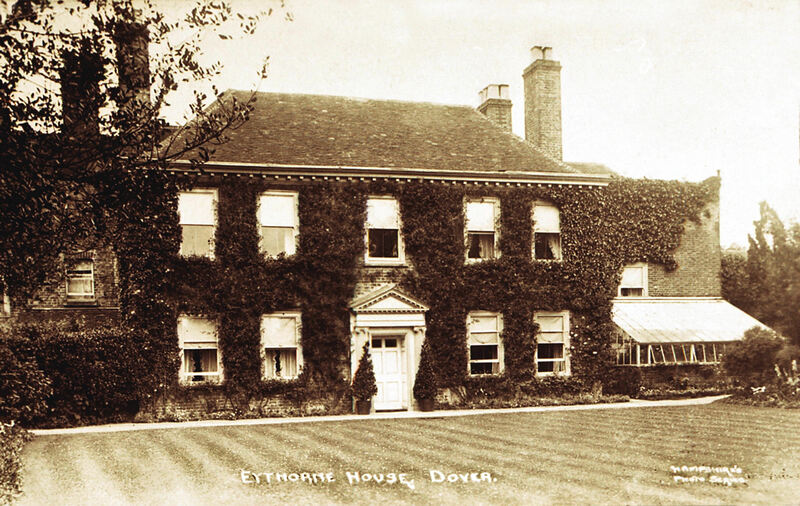 Peter died in February 1814, at his mansion in Eythorne. In August that year, John gave the Corporation of Dover, in accordance to his late father’s Will, three chests of silver plate. In honour of Peter, his portrait by Zoffany was hung in the then town hall. The portrait now hangs in the Stone Hall, Maison Dieu. Following the end of hostilities, John and his family toured Europe, but when they returned to Dover, the town, like country, was in a deep economic depression. He immediately held ‘court‘, inviting all the town’s menfolk to attend. There he learnt that the poverty and even starvation was rife and that the old ‘fall-back‘ profession of smuggling was no longer feasible. John responded by building a magnificent country house on land he owned at Kearsney that resulted in Kearsney Abbey and provided the jobs the town’s folk so desperately needed. However, John died on 12 June 1821 before the ‘Abbey’ was completed. On the day of his funeral, not only did the famous and the wealthy come from far and wide; the whole town turned out as a mark of respect. George Jarvis, following John’s death, ran the bank and then from 1827, John’s son-in-law, Henry Bruyeres. John Minet Fector junior (1812-1868) took control of the bank and the business in 1833 and had inherited all his father’s business acumen. In 1842, he amalgamated the family Bank with the National Provincial, established in 1833, and taking his mother’s maiden name of Laurie, became the first chairman. Under his guidance, the new bank became a major concern and today it is known as the Nat West Bank. As for silver that Peter Fector bequeathed to the town, successive Mayors used this as collateral, most notably in the purchase and restoration of the Maison Dieu and the building of Connaught Hall. 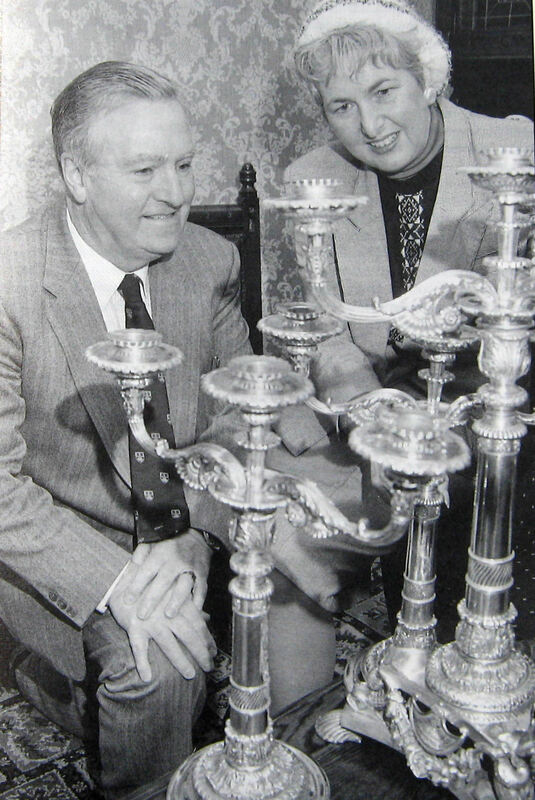 However, these days only three candelabras remain as the rest were stolen, along with other priceless treasurers, in July 1969. The three remaining Fector pieces were valued at £80,000 in 1986. The story of the Fectors, along with the Minets, the Latham and the Rice family is told in the book, Banking on Dover by Lorraine Sencicle. This entry was posted in Businesses, Fector Peter - the story behind the Town's treasure and the Country’s banking system, Fector Peter - the story behind the Town's treasure and the Country’s banking system, Local Government. Bookmark the permalink.